Could God Have Made a Mistake? How I was searching for something in my life that I was missing. If you have not read these earlier stories it would be a good idea to go back and read that before you read this one. You will understand better by reading those earlier experiences. The thing is that I was still a teenager, and as most of you will remember looking back, and others will know because you are right in the middle of those experiences, being a teenager comes with a variety of challenges and trouble. Some of the choices that I made, even after God’s call to me, were not what most would consider very godly. There are some people out there that could probably provide you with a laundry list—a dirty laundry list—of my misdeeds and mistakes. I was then—and still at times—prompted to wonder if God had made a mistake in choosing to call me to ministry. See, to that point the only minister I had really known was our former pastor, Rev. Thomas Riston. He was an older man with a booming bass voice who wore robes on Sunday and those pastor shirts with the white thing in the front. He had been our minister for most of my life. I believed that the hierarchy was God…Jesus…then Rev. Riston. I believed there was no way I could live up to that kind of expectation if that was what it meant to be a minister. I had only known our current minister, following Rev. Riston’s retirement, for a short time. He was a younger man, David Lockwood, and he wasn’t quite as “holy” as Rev. Riston, but he still wore robes, and with his beard he looked more like those pictures we see of Jesus. Ultimately, the people I knew who were ministers and my choices, actions, and thoughts all seemed to declare that I was delusional to think that the Lord would seriously be interested in having me as a minister. He must have made a mistake. He loved me, and He had forgiven me of my sins, and continued to as I confessed them to him, I was sure of that, but I wasn’t—nor would I ever be—holy enough to be Reverend Bentley. So, I stepped back from the fire. I still believed that God wanted me to be a pastor, but I wasn’t sure how…when…or where. Perhaps when I was older with grey hair—like most of those I knew in ministry. I didn’t think it was going to be anytime soon. So, I put following God on hold. Thing is, I guess God didn’t get the memo. He kept calling and leading and moving in my life. He started revealing different things that He was doing in my life. Things like a developing love for reading, the ability to write, and a blossoming love for music. He started really stretching me in areas of my life and peeling back some of the protective layers I had been hiding under. I’m not going to spend a lot of time on how I met the woman who would become my wife—that will be a story for a different series. Suffice it to say that I had no idea how meeting this fiery brown-eyed girl at a youth retreat was going to impact my life. 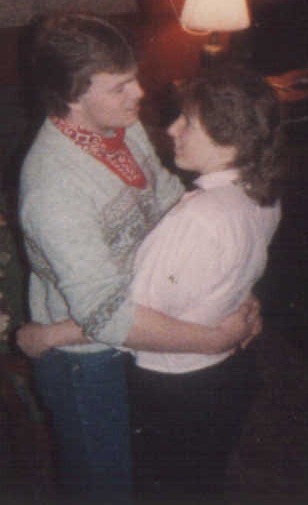 She seemed to know from the moment we got together (June 25, 1985) who I was and what I was going to be. She will tell how she could see us in ministry together even way back then. For the next three years and one week—that’s when we married—we were wrapped up in each other’s lives. When I would falter and fail her faith and strength upheld me and kept me going. Married at such a young age, there were many challenges, but we did our best to keep church as a priority and stay involved. Work schedules and the other stresses of life brought new difficulties into our lives which made this more difficult. We both kept the thought of ministry in the “back of our minds,” but for the time being we had work, bill, and all the things that flood into the lives of newly weds. My mom lamented once about the number of entries she had for me in her address book because we moved so often in those early years. In the first few years of our marriage and family we lived in 8 different places. One of those moves was back to the town I grew up in, and by default back to the church I grew up in. It’s this move back home that leads to the next big transition and challenge in my life and God’s call. It would also be the time in my life where some of the most significant—and at times painful—choices of my life would be made. I’m loving these blog posts (if that’s what they’re called). And I look forward to each installment. I love you.